It’d take an enormous haul for the Reds to acquire Kluber, though that should come as no surprise. The 32-year-old is a two-time Cy Young winner and easily a top-five pitcher this decade. The question is whether that price is worth it. Giving up Nick Senzel, the consensus top prospect in the organization and a crucial building block of the future, would not be easy. Although scouts haven’t quite called him a five-tool player, he does everything well. He hits for average and power, draws walks, has some speed, fields well, and plays multiple positions. By most accounts, he could’ve started the 2018 season in the big leagues. Some have even compared him to Astros third baseman Alex Bregman. Senzel has the potential to become an all-star and take the offense from very good to elite. To get a pitcher like Kluber, you have to be willing to move a talent like Senzel. That’s fair. The problem: the theoretical trade wouldn’t be a one-for-one. In all likelihood, the Indians or Padres will ask for multiple top-five prospects in return—perhaps even multiple top-three prospects. That means Cincinnati could lose either Taylor Trammell or Hunter Greene in addition to Senzel. If the Reds get Kluber without moving Trammell or Greene, they’ll certainly lose Tony Santillan and/or Jonathan India. That’s a big hit to future Reds teams, and it begs the question: is Kluber worth that price? On the surface, it’s easy to say yes. The Reds’ starting rotation was horrible last year, and the year before that, and the year before that. Despite improving through the additions of Alex Wood and Tanner Roark, the staff may not have the Reds at a point where they can compete in the NL Central. Wood and Roark, while solid contributors, are not the No. 1 starters that can push the team toward contention in 2019, especially in what is arguably the strongest division in baseball. The logic behind acquiring an ace now seems simple enough: to finally put together a winning baseball team in 2019, the first in the Queen City since 2013. Kluber would undoubtedly make the Reds better right now. He would push them into contention in the NL Central. Still, it’s unlikely the team would be favored over all three of the Cubs, Cardinals, and Brewers. Reminder: All three of those teams won 88 or more games last year, and two of them won 95-plus. Would Kluber, along with Wood, Roark, Yasiel Puig, and Matt Kemp, push the Reds to the 90-win threshold? It’s possible, but that’s a steep mountain to climb. In reality, he’s not the missing piece on a team ready to compete for the World Series. The Reds have improved considerably during the offseason, but they still have question marks in the bullpen, center field, and — even with Kluber — starting rotation. Beyond 2019, the trade would require the organization to severely deplete its minor-league assets. By trading Senzel, another top-five prospect, and likely yet another top-10 prospect for three years of Kluber, the team would inhibit its chances of competing beyond 2021. After that season, Kluber will be gone, Joey Votto will be another year closer to 40, and Senzel and Greene/Trammell/India will be in another organization. That would leave the Reds with little star power outside of Suarez. While not quite putting all the team’s eggs in one basket, it could come close. Is three years of Kluber worth six or seven years of Senzel and/or Trammell/Greene/India? Establishing long-term success is not as easy as the stupid Cardinals make it look. And they’ve certainly made big moves when the time was right. But what they do arguably better than anyone else is develop talent from within to sustain their success and replace players who are aging or having expiring contracts. The Reds need to acquire outside players to make their team competitive. There’s no doubt about that. However, they also need to build a team that can compete for more than three seasons before starting the horrible rebuilding process all over again. They have the organizational depth to do that if they play their cards right. Imagine this potential core leading the Reds in 2022: Eugenio Suarez, Jesse Winker, Luis Castillo, Jose Peraza, Senzel, Trammell, Greene, Santillan, India, Shed Long, and Jose Siri. That doesn’t include any other acquisitions the team could make. Take away several of those players, though, and the future becomes murkier. What should the Reds do if they don’t acquire Kluber? They can add to that tantalizing core above through free agency — without giving up the players who could develop and sustain a winning culture past 2021. If the Reds don’t sign Dallas Keuchel this offseason, they’ll have a shot at a top-of-the-rotation arm a year from now. Wood, Roark, Kemp, Puig, and Scooter Gennett are all free agents after the year, which frees up even more money to make a big splash. Among the notable starting pitching free agents are Gerrit Cole, Chris Sale, Madison Bumgarner, Chris Archer, Justin Verlander, Rick Porcello, Zack Wheeler, Jake Odorizzi, and Michael Wacha. Standing pat with the current starting rotation for 2019 also wouldn’t be the end of the world. It would give new pitching coach Derek Johnson a chance to work with the untapped potential of the current group of young arms. Can he help Castillo become a dependable No. 2 starter or better? Can he develop at least one of Tyler Mahle, Michael Lorenzen, Amir Garrett, Cody Reed, Sal Romano, or even Robert Stephenson into successful big-league starting pitchers? All have struggled at times in their MLB careers, but they have age on their side and talent to work with. Remember, Johnson helped guide Milwaukee to a 96-win season behind a rotation of Jhoulys Chacin, Chase Anderson, Junior Guerra, Brent Suter, and Wade Miley. There’s a reason the team aggressively pursued him. They needed a different voice to teach these young pitchers, and based on his track record, it could make an enormous difference. Why not give him a year to see what he can do with this group? If one or more of those pitchers can reach their full potential, how big would that be for the future? If they flop, the Reds know they need to be that much more aggressive in free agency next year. In the meantime, the roster has improved enough that it won’t be a chore to watch the team like it has for the last four summers. The talk of #PositiveMomentum was thrown around last year at the trade deadline. It became nothing more than a running joke as the Reds crawled their way to another last-place finish. This year, though, momentum has a legitimate chance of building even without another huge offseason acquisition. There’s no clear right answer for how the Reds should proceed with Kluber. He’s a rare talent and would make the club significantly better right now. If the team was on the verge of World Series contention, the answer is easier: trade Senzel and Greene/Trammell right now. If the team played in a weak division, go for it. But neither of those scenarios are reality. It’s risky to give up multiple huge pieces of the future when so many question marks still exist. The team can’t afford to make a shortsighted decision. Every team ultimately wants to build a sustainable model of success. Doing that requires continually developing young talent; even the high-payroll Yankees and Red Sox need to develop young, controllable talent. Not every prospect pans out, but Senzel, Trammell, Greene, India, and Santillan are young players the Reds could build the franchise around. Keeping them and targeting free agents instead — whether this year or next — could establish a winning franchise for years to come. Photo of Corey Kluber used under a Creative Commons license, which can be found here. Original photo was slightly altered. I would definitely do Senzel straight up for Kluber, but the Indians won’t. No way the reds should do that, and Indians crazy not to. I bet Kluber and Senzel produce similar WAR over next 3 years, but one is 70 million, the other 2 million. I bet Kluber and Senzel produce similar WAR over next 3 years, but one is 70 million, the other 2 million. And, the 2 million guy can keep putting up that WAR every year for the next 10+ years, while the 70 million guy will probably be retired in 5 years or fewer. Kluber has proven his medal. Senzel is just speculation. Huge difference. Kluber has proven his medal(sic). Senzel is just speculation. Huge difference. Kluber, as I pointed out, is also 33. I think the simplest way to consider this is to consider the WAR: Do you think Kluber will put up more WAR in the remaining (potentially) 3-5 useful years of his career that Senzel could (potentially) put up in the next 15 years? There are a lot of questions, and while it’s true one of the biggest ones is will Senzel be as good as we think he will, the other one (that is not getting asked enough) is how much longer will Kluber keep pitching like an ace? There has been tons of research done on this, but generally speaking, aging declines tend to exponentially increase with each year past age 32 (which, you’ll notice, is the territory Kluber is just now getting into). If you want to risk the potential useful years of Senzel for a soon-to-be 33 year old pitcher, when data says there is a very good chance said 33 year old pitcher is about to become much, much worse, then I guess that is your prerogative. Me, I would put my money on Senzel. Thank you JoshG!!! Finally someone posted what’s really happening. Keuchel probably does not want to pitch here, even with his good ground ball rates. I honestly have very little faith in Gonzalez or other options left on the free agent market and I kinda doubt any of them want to come here either even with Johnson as the pitching coach. A trade is the best option for the Reds to get a top of the rotation guy. What I wonder is if there is any out there that maybe we could get without giving up more than one of our top 5 prospects?? I kinda doubt it but you never know. I would be ok with giving up 1 or top 3 and anyone else ranked 6th or higher for a good #1 pitcher. You have to give up something good to get an ace pitcher. It’s just the way it is. Absolutely right! I would rather to try to further develop our young guys like Romano and Mahle than take on a disaster waiting to happen in Gio Gonzalez. He puts way too many guys on base and that would be a nightmare in GASP. I don’t mind a guy giving up HR’s as long as they are of the 1 & 2 run variety. Nope. Get the same value by giving Keuchel what he wants. No. Kluber is many times greater than Keuchel. And will cost less $$$ and for fewer years. A package starting with Trammell and India or look elsewhere. Can’t get Kluber? Pivot and go back to Stroman. Or get the Indians to talk about Mike Clevinger. Unfortunately, there is no way the Indians are going to discuss Clevinger. With their financial issues, and the increasing salaries of Kluber and Bauer, they are not going to give up cost controlled pitching (maybe there is a lesson in that). With Cleveland, it is going to take a package of 2 or 3 players with 1-2 years of ML experience, along with a couple of top prospects. That is being reported as what Cleveland is looking for. Something along those lines. Schebler and David Hernandez fill big needs for Cleveland. Build from there. Barnhart? Scooter? Roark? Reed? Romano? India could go in a Kluber package. Trammell could go in a Clevinger package. Steelerfan, I think if I’m giving up Senzel and Trammell, then let’s take it a step further and throw in Bauer. Then I’ll add green and India. If it’s gonna be a blockbuster, let’s make it a blockbuster. My top four + Kemp for your top two pitchers. For this to work properly, the reds need somebody else in that office who can trade with the best of them. Because I would bounce both Cleveland pitchers with kemp and Puig to bring back a healthy load. I do not CLE will give up Mike Clevinger. Agreed blowing up the farm with Senzel plus doesn’t seem all that wise to me. I think the team has made strides this season and will be watchable so I would rather just graduate our prospects and sign ppl next year. Getting the Indians to talk about Clevinger is intriguing, like I’ve said to you before. It’s possible in 2-3 years he’s better than Kluber. Really depends on how good the Indians think he might be vs how good the Reds think he might be. I personally think he’s probably more a #2/#3 than an ace but ace upside is possible. I agree with you about not budging on moving Senzel for Kluber. I just woulnd’t do it. It’s not the same situation as Latos years ago. Alonso was blocked and had ZERO positional flexibility. Grandal was a little redundant in that a lot of folks thought Mesoraco would be as good or better. Latos also was much younger and cheaper than Kluber, with cheaper team control. Lastly and most importantly, the Reds were very likely one good pitcher away from a deep playoff run, so it was time to pull the trigger on a BIG trade. The Reds aren’t 1 player away from that right now. Honestly I’d hold onto Senzel and make a move in free-agency next year. Pitching is way deeper. A definite NO. Kluber is a durable proven power pitcher. But, he turns 33 in April. Yes, some elite pitchers have dominated at age 33/34/ 35- Justin Verlander and Max Scherzer of late, but others have fallen off dramatically. Felix Hernandez, Johnny Cueto, Homer Bailey are all 32, and all done with huge dead-end contracts. Josh Beckett and Roy Oswalt are examples of dominant power pitchers whose careers went quickly downhill after age 32. Joey Votto slid last year and while I think he will bounce back in 2019, he will decline. Do you want a 37 year old 1b making 25 million and a 35 yo pitcher making 18 million in 2021? Injuries happen. Father time doesn’t slow down for anyone. Senzel isn’t a prospect . He’s a super prospect and part of the next great Reds team. Eugenio Suarez also had a poor year at 3b in 2018. What if defensively that is the new normal for Geno? Look for younger pitchers who can become the next Corey Kluber from age 28-32. The Reds cant afford to pay players well over 30 based on what they did in their 20’s. Ill take the young guys entering their prime in 2021. Great post. As you noted, the elite pitchers in 2018 over 32 is a small list. Trading top level prospects for a pitcher over 32 is not a great idea. Build a solid young core of position players, and utilize the free agent market to complete the pitching staff. There will always be pitchers like Wood and Roarke available each year. If you have excess talent at a position, then you trade for a young starter. I agree with Old-School and WV. Kluber would help–every 5th day. The Reds will need Senzel and Trammel, among others, next year when the new guys are gone. 2019 seems to be about being better and reigniting fan interest: It will be 2020 and beyond when the Reds can realistically expect to challenge the top teams. It’s also possible that, with a small park and quesionable defense, a top pitcher won’t meet expectations anyway. Yep. Improve from the depths in 2019, which should happen with the moves made to this point. Then the Reds can use the young players to fill in spots and continue to add to the rotation and build up a powerful bullpen. Reds need young position players and a solid rotation and a great bullpen. Getting Kluber would improve the Reds a lot over the next two seasons, which is not a bad thing. The other teams in the NL Central are going all in every season to win, maybe that should be the Reds approach. The challenge to that is that you need cost controlled talent in order to churn the roster. That’s a no for me dawg. Even straight up for Senzel. Can’t get short sighted, especially since we aren’t even contending yet. Has everyone not been watching baseball the last few years? The days of aces throwing complete games are over. You do not need elite starting pitching to win a world series. ESPECIALLY if you are the Reds. They play half their games at GABP. They should build a totally bonafide lineup full of high OBP guys to clog the bases for the other guys that hit for power. Build an elite bullpen, and starting pitching that is good enough to keep them in games. If you get rid of Senzel, what are we left with offensively after this season? Suarez, a 37 year old Votto, and what? Winker? You think that’s competing for a WS. Bananas. I think we have to differentiate between the impact of and ‘ace’ on making the playoffs and winning the world series. An ace is certainly not necessary to make the playoffs and making the payoffs is a critical step toward the ultimate goal, winning the world series. Once a team is in the playoffs and competing in 7-game series, an ace or even two aces becomes MUCH more important and impactful. A dominating, shut-down ace taking the mound for 2 or 3 games in a 7-game series is a huge benefit. With that said, the Reds are not in a position to win a world series in 2019, at least not as a reasonable expectation. With a shut-down bullpen, elite offense and a solid starting rotation, the Reds could compete for a playoff berth in 2019 and I’m completely fine with that as a more realistic expectation even if they fail to make the playoffs. Last season, the Reds were the whipping post of the NLCD. This helped buffer the records of all the other NLCD teams. The two best teams in the NLCD from 2018 simply destroyed RHP and the Reds had no effective LH starting pitcher. The off season changed the dynamics of the NLCD. With the addition of Alex Wood, the Reds now have an effective LH starting pitcher in addition to an upgraded starting rotation. Reed probably gets the 1st shot as the 5th starter in the rotation and that’s another potentially effective LH starter in the rotation. The bullpen (Iggy, Hughes, Hernandez &, Lorenzen), fortified with the addition of Garrett, Romano & Stephenson, under the tutelage and management of DB and DJ, provides the run preservation and prevention to turn around the 1-run loss record to something much closer resembling a .500 record and the improved offense and starting pitching moves the overall record to something much closer resembling a .500 record. With 76 games within the NLCD, the Reds will not only improve their own record, but deflate the record of the other NLCD teams. The NL wild card teams probably do not come from the NLCD in 2019, but the NLCD winner also probably doesn’t put up anything close to 95 wins. I agree with most everything said here and an “Ace” like Kluber is obviously a benefit, but it has less value to the reds playing in that bandbox. The Brewers made the world series last year with a bunch of middle rotation guys and I would rather acquire a pitcher at the deadline, if and when they are in contention and know what they need, than sacrifice the best prospect to come through the Reds farm system in over a decade when he is on the cusp of breaking through to the majors. I just do not get it and it is incredibly shortsighted. Why not go after Bauer? He is younger and his numbers were just, if not a little better than Kluber’s last year. His price would not be as steep. I would give Senzel straight up, and maybe another lower level prospect, for Bauer. For Kluber it will take a couple of, maybe three, top prospects to land him. He only has 2 years of control vs 3. It would be a hard choice to give up Nick straight up. NO way on Gods green earth, I am giving up any more top 5 prospects for Kluber. The issue with Bauer is that he only has one year of arbitration left after next season, and third arbitration season gets expensive. He has said he will not sign a long term deal with anyone, and he is enough of an interesting character that may be the case. Unless you get a sense from his agent that there may actually be a long term deal to be had, there is a real risk he walks for a huge one-year deal in 2021. If you don’t do another thing this winter, and flip Roarke, Wood, Puig, Kemp and Gennett before the deadline for decent prospects, 2020 and beyond seems set up perfectly. Senzel moves in at second. Siri/Trammell should be close to ready in CF. You have a lot of money available and there will be a lot of solid free agent pitcher. You have a lot of other younger prospects knocking on the door. If you trade Senzel, do you sign Scooter for big money? That’s less money for pitching. Also, adding Kluber finishes your 5-man rotation. That leaves the bullpen or AAA for all those candidates for the rotation. I’d like to see Mahle, Stephenson, Romano, Lorenzen, Garrett or Reed step up and earn the spot. If one of these guys lights up spring training, assuming everyone else stays healthy, where do they pitch? 2019 is to get ready for 2020 and beyond. Treating like the year we need to arrive is a mistake. Bauer has only 2 years of control left and he has a bit of a reputation as “clubhouse problem.” Plus, while has great upside, he has only had 1 real good year, and he would definitely NOT resign with the Reds after 2 years. He has already stated that he will test FA in 2 years. No thanks. Great article and comments. The only time that a team should trade a TOP prospect is when you legitimately are in contention to win a championship. This team is still a couple years away from that. Be patient and as Matt mentioned there will be quite a few pitchers available next year. there will be quite a few pitchers available next year…. From the list above, those guys are waaaayyyy too old to be considered. Trading is the only way to acquire the ace we need. Joining the No crowd, it is not mentioned here that if Kluber is traded then the options automatically come due and must be acted upon. That means there is no dropping the contract if it goes bad. Senzel would be straight up for Kluber. Any other trade offer severely works in the Indians favor. The Reds traded for Tom Seaver in 1977, but that team was in contention that year, and had just won back-to-back WS’s. This team is not close to the playoffs. The Cossack’s logic in yesterday’s thread about the 3-way deal is a must read. You don’t give away stud prospect(s) where the team has 6 or 7 years of control for a soon to be 33 year old pitcher with just 2 or 3 years of control when your team is not close to the playoffs. Patience. This front office has finally begun to make moves to improve. I should have added: “32 year old” Tom Seaver. Php… I don’t think the team thinks they are going for a world series this year. I think they are trying to be a winning ballclub, with an outside shot at making the playoffs at this point. I feel like at least one more addition of Quality CF, Realmato, or another quality pitcher. Maybe there is another trade for a pitcher like we got already for this season or honestly Im ok with going with what we have for this year. I would love to see us get a number 1 or 2 guy to go in front of what we got already but its going to involve giving some top prospects to do that.. You have to give quality to get quality in return. I agree with your assessment of what Williams is trying to do. However, I disagree with what would be the best way to go about. Our top crop of prospects will be the future. I think for a team like the reds, they need to hold onto their top prospects and continually develop from within. I would rather them risk dollars on the free agent market than prospects through trades. Unless, we’re in a situation like the Latos deal, but I dont think we are there yet. But I do share your optimism of a winning season as is, and if we get some good luck or additional smaller moves compete for a wildcard. The more I think about the proposal, the more I lean towards NO. Reds will probably not be a position to compete in 2019 and a move like this only helps clubs who are ready and need a bump to put them over the edge. According to MLB Pipleline ETA, the Reds will have 8 prospects ready to contribute in 2019 and another 7 coming online in 2020. That’s 15 of out top 20 ready by start of season 2021 or final season of Kluber. The front office should feel good that they made the 2019 club much more tolerable and should get some fans back to the park. Puig will become a fan favorite and the fan base will want a FA contract with him. We will def need a 2B and Cf over next two years and Senzel/Tramell fit the mold. We have ton of money coming off books at end of season. I think we wait until next off season or even the 2020 trade deadline to strike a deal for younger controllable pitchers and allow more time for youth to develop to see what we will need. I would send a message back to the tribe that our top 3 prospects are off the table and counter with a deal that includes India/Scheb+. If that doesn’t work, then pivot to Keuchel or more likely Wade Miley/Marcus Stroman. I’m strongly in the NO camp. 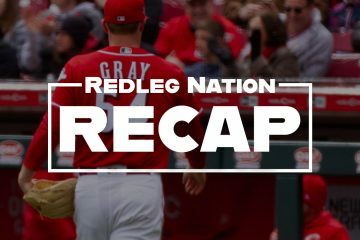 The Reds are clearly a lot better than 2018 – Puig replaces Hamilton, Roark replaces Bailey, Wood replaces the 4th starter rotation slot, and healthy Jesse Winker replaces injured Jesse Winker. 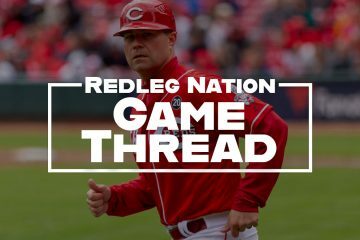 Add some rebound from Votto and a healthier year from Schebler, and further development by Mahle, Reed, Lorenzen, Romano, Castillo and other young arms under the tutelage of a new, highly regarded pitching coach. That’s a much better team. BUT it’s not clearly a division winning team. So the idea of mortgaging the future to take a run at a one year window of opportunity makes little sense. There was a consensus in RLN that this offseason needed to be a “get the pitching” effort, but without giving up any of the top 5 prospects – without undermining 2020 and beyond. Nothing has changed there. Sign Keuchel, work another miracle deal with low level prospects, or stand pat with the gains made so far. And enjoy watching Nick Senzel start his journey – hopefully to stardom. You -do-, however, raise another point that needs to be thrashed out. The Reds currently have a logjam at the not-quite-MLB level of pitching. The most notorious example being, of course, BobSteve but you also have Finnegan (begin again? ), Romano, Reed, Garrett (another example). One hopes that Johnson can turn at least 1 or 2 of them around into, at the very least, short-term keepers over the next two-three years. But what happens to the remainder – do they have any residual trade value or have we let it evaporate? And how much room needs to be made for the likes of Santilla, Mella. Sims and Greene over the same two-year frame? Not that I’m expecting any of the current (first grouping) to be anything other than small change in a deal of consequence, but if we go back to trading for prospects to keep the channel full, what value to they -realistically- have? A 67 win team has no reason to trade its Major League ready top 5 prospect. It makes no sense. They should hang up the phone if Nick Senzel’s name is even mentioned in passing. You know what really sucked? 2015 when the Reds won 64 games and were running our Jason Marquis and John Lamb and Keyvius Samspon and Josh Smith and David Holmberg to start actual Major League baseball games. You know what makes that worth it? At least six years of a superstars like Nick Senzel and Taylor Trammel. If you trade them, what are you telling your fans? We might fight for 3rd place for the next two years but then, sorry, we’re going to have to rebuild (i.e. lose a lot of games) again for the next 4-5 years. No thanks. We’ve seen the successful models play out over and over and over again. You develop your offense, you get them cheap for 3, 4, 5, 6, years (although that will probably change after 2021) and you go out and buy the pitching. Spend the money it takes to get Dallas Keuchel. Trade Scooter and Iglesias if you need to shave some money off payroll. Put up or shut up, Bob. With an ace, and a lot of breaks. You are talking at least 25 more wins. I do not think 90 wins will do it. They MIGHT compete for a WC, and everything goes well. Note, I am still in favor of signing Dallas. Agree, with an ace the reds would compete for a division title this year. The same could be said with a free agent signing of Keuchal and a trade for JT Realmuto, along with the addition of a solid middle reliever (there are lots that will be very low cost). I think an ace like Kluber gets them into the 85-90 win range with a lot of things going their way. But then the question remains, how will 2020 be better than 2019? In 2020 you’re losing Scooter (unless you extend him, then you are just getting an older Scooter with less production), losing Wood, Roark, and Puig. I am against any move that makes the 2020+ teams worse than the 2019 team. 4. Installing Nick Senzel at second base. I just saw that online. I love it other than I’m fine passing on Gray and having Mahle as our #5 starter instead (I would of course take Keuchel but don’t see the Reds signing two big FA. Would be some lineup and 100% better rotation than what we had in 2018. Absolutely hate the idea of signing Pollock. He makes Homer’s injury history look good. Understanding that it takes talent to get elite talent, but, not sure why Senzel is in discussion. It seems pretty simple, name Senzel as the starting 2B and let him develop into an All Star. Continue to develop a young core on offense. Seems that the Reds are stuck and are not sure what to do with Gennett. Just name Senzel starting 2B and have Gennett be a back up infielder and pinch hitter since there is no trade market for him. As this offseason has shown, there are excess middle infield options, under utilizing a top prospect due to a middle infielder may not be the best use of assets. Perhaps we should just trade him away for 2 worthless prospects… and pay all but 1 Million of his contract as well. Already literally went down this road benching established All Star and good players for the “prospect of the future” that evidently doesn’t know how to use his glove. Senzel in center this year, if that fails then Super UT him until an injury or the Great July Selloff happens. The At bats will come, but Scooter will be part of a winning team THIS year and removing his production will hurt the team as a whole. Who was the All Star that was benched? I just believe the Reds would be better in 2019 if they named Senzel the starting 2B and utilize Gennett in a utility role. Significantly improved defense and likely similar offensive production. My initial point is that good teams don’t make decisions that impact top prospects, due to a aging middle infielder. There are plenty of available aging middle infielders, which is why the Reds aging middle infielder has no trade value. Benching Gennett is pretty much the funniest suggestion I’ve read in this thread. You said that there is no right answer on how to proceed with Kluber but I think you pretty much gave your answer by saying that the Reds would likely have to part with way too much of their future along with Senzel AND the fact that we’re not on the verge of a World Series title. All that says no, to me. Forget Kluber and sign Kuechel. I’d still be happy if they signed him …..
Exactly…if they don’t sign Keuchel, there really isn’t a backup plan. All of the other free agents are trash. 1. Kluber is 33. Players at his age can suddenly and dramatically fall off a cliff, no matter how good they are now. 2. There is no guarantee Kluber would push the Reds into contending. And even if he did, is a year or two of contending worth completely decimating the farm system for a small market team like the Reds? As exciting as it is that the Reds are making real moves to be competitive this season, we need to keep things in perspective. The Reds are a small market team, and small market teams live and die by their farm system. They depend on a pipeline of young, cheap, controllable talent that they can flip when those players become good enough (and, by extension, much more expensive). Trading several top prospects for a player on the verge of the twilight of his career goes against all logic in this scenario. Trading any top 5 prospects for a 33 year old player is flat out stupid at this point in time. Not a Gray fan, and I would say no to virtually any trade. Do agree with the rest. I’m not either, honestly, but I’d take a flier on him if the price wasn’t too high. Something like AlfRod and BobSteve. Although I know Kluber is a TOR pitcher, I am not in favor of trading Senzel plus two other top ten prospects. I hope the Reds front office is not that desperate to get Kluber that they would make a trade like that. Please, Please keep Jocketty away from those talks. We have an improved lineup, let’s see what Johnson. Give Johnson an opportunity to work with the young guys. Who knows he might even get the lightbulb to turn on for Bob Steve, and if he does, with his stuff you might have a really good pitcher. I’ve been thinking the same thing. I haven’t done any digging into the numbers, but if our pitching coach makes a big difference, big things will be happening. Except, I’d like to see us add another good starter and see what he can do with them. Senzel is more valuable than Kluber. Especially for an organization that is not knocking on the door of the World Series. That’s not a bad plan, but I’d do a couple of other moves to make the playoffs more likely. Keuchal and Realmuto or Inciarte and a Solid Reliever or Pollock if his market continues to fall. If say the market for Keuchal drops and we get kuechal for 4 years 72 million and we can get pollock for 3 years 42 million. We’d then have an extra outfielder or two that would need to be moved. There are innumerable ways to continue to significantly upgrade this roster this offseason and some without giving up any of our top prospects. I’m figuring/hoping the price for Realmuto has dropped or will drop. To something like Barnhart, India + another just outside the top 100 prospect (Long, Guiterrez, etc.). But I’m only guessing. Scottya – I would love if this could happen but again we are talking about probably the best catcher in baseball right now. Its going to cost a top 5 guy for sure and maybe another in the top 10. plus someone else. I would love it if we could get Kuechel but I’m starting to have my doubts that perhaps he doesn’t want to come here. The “Conventional” approach, for teams like the Yankees and Red Sox, is sign an ace or two to big contracts, and solid #3, two back -end of the rotation types, and then a lineup of well-paid veterans. When playoff time comes, “conventional” teams give up prospects to get those last pieces for the championship run. When the great collision of “age related decline meets rapidly expensive contract” finally occurs, the “Conventional” teams swallow the back-ends of those contracts and absorb one bad year. Then, they begin the process over again the next year. The Reds are not in a conventional situation. As a small / medium market team, Reds will always need think about winning with a cost-controlled mentality. The massive contracts that The Red Sox, Yankees, and Cubs can absorb would cripple the Reds for half a decade. Thus, the Reds will have to build a roster in an unconventional manner. I am of the opinion that one of the best ways to control the cost of the roster is to avoid mega-contracts to players that are high risks to have steep declines in production. On the top of that list are “Aces”, pitchers that very often decline rapidly and have massive contracts. Instead, the Reds should focus on building a rotation of dependable “get me to the 5th inning” types, a solid bullpen, and scoring a ton of runs. 1. Don’t waste valuable resources on big name/contract pitchers that can only pitch every five days. 2. Stockpile cost controlled players. 3. When pitchers approach big contracts, trade for cost controlled players. 4. Develop power bullpen arms in the minors. 5. Extend contracts to position players judiciously. The Yankees do not have an expensive ace. They Yankees are winning due to a young position player group and a great bullpen. Red Sox are similar. The Red Sox do have Sale. If the Reds can get 2 starters like Castillo in most seasons, they can fill the other 3 spots with Free Agent pitchers or other young starters. Easier to put together a solid bullpen each year as well. Hard No. I am tired of other teams trying to pry talent away from the Reds in deals that are really too one sided. From the Yankees overpricing Gray, and to the Indians overpricing Kluber, enough is enough. There’s a point in going too far with your off season and and courting disaster, and that’s where I feel the Reds are at this moment with the Indians trying to land Senzel. The Reds can keep him for 10yrs should they lock him up; the kid is a badass. Kluber? 3 more years, costs A LOT of money, and is on a downward trend. If he goes out and pitches great this year, matters; Reds still have a GREAT core that will keep them in contention for YEARS versus just 2019-2021. Kluber is on a downward curve? How is Kluber is on a downward curve? The faux-medical term is ARD. Age-related degeneration. oh, so he is saying he might be about to go on a downward curve, because at the moment he definitely is not trending downward. Kluber is not expensive, where did you get that? $17.5-million a year is expensive. The caveat is that it isn’t expensive for a top of the rotation pitcher. It is in fact, rather inexpensive for such an arm. I’d love Kluber at $17.5 million per but not if it involves trading Nick Senzel + another top 5 prospect for him. An SB nation post from December of 2007 quoted a Reds insider as “…….75% certain the Reds would trade Joey Votto, Homer Bailey and Josh Hamilton to the Orioles for Erik Bedard”. Bedard had just finished 2 dominant seasons entering his age 29 season including a 2008 campaign in which he struck out 222 batters and finished 5th in the CYA. Votto became the greatest hitter of the decade. Josh Hamilton won the 2010 AL MVP and Bailey threw 2 no hitters and was a solid SP in the 2010-2013 winning run. The Orioles later traded Bedard for 5 prospects to the Mariners , headlined by a 22 year old phenom named Adam Jones, a 20 yo Chris Tillman who pitched 4 outstanding seasons from 2013-16 with an All star year in 2013, and reliever George Sherill. No, keep the elite prospects. Keep Senzel. Keep Trammell, Keep Santillan. Yes, yes, yes YES!! I was so happy when my O’s made that trade. I was glad they didn’t fleece my Redlegs. I was willing to give up Bailey and Hamilton (even though I shouldn’t have been), but balked at the idea of giving up Votto. That would have been a terrible trade, just as the trade was terrible for the M’s. The difference in pay over the bextv3 seasons with Kluber and Senzel is $50 million. So, should the Reds prefer (1) Kluber, or (2) $50 million dollars and Nick Senzel? That is not a hard question to answer. A Fangraphs article pegged Senzel’s worth at $50 million, so from that perspective the Reds would be paying $33 million/year for an aging Kluber, while giving up a needed bat. I love how some people say a player is worth 50 million or whatever amount and they have never played a day in the majors. For those who don’t know Vertigo is a serious thing. A person cannot perform at all when they are having this. Also will the elbow affect his hitting. We don’t know these answers yet. Senzel could end up being an All Star sure. Even just a good player at the majors but we also need to consider that his health is a pretty serious thing. I have my doubts that this will happen but what if. I haven’t been paying attention. If the Reds sign Kuechel, do they lose a draft pick? Is it the 2019 first round pick? They would lose a draft pick. It would not be a 1st round draft pick. I think it would be a 3rd rounder, not sure. The three team trade makes the math potentially different. If the Padres value Senzel (as I do as more valuable than Kluber) then the Reds could get Kluber + for Senzel. The Padres would then pay the premium to the Indians. A guess as to a possibility. Reds get Corey Kluber, Chris Paddack and Manual Margot for Senzel, Jesse Winker and Tony Santillan. Indians get Jesse Winker, Mackenzie Gore and Logan Allen for Corey Kluber. Padres get Nick Senzel and Tony Santillan for Manual Margot, Chris Paddack, Mackenzie Gore and Logan Allen. I would do this, and have no idea if this would work, but it was fun. They still give up Senzel for Kluber, plus they give up Santillan and Winker and get Margot and Paddack. Winker is better than Margot, and the Reds have plenty of CF talent in the minors that is younger than Margot. Santillan has not had TJ surgery and is a year younger than Paddack, with both having pretty good stats over a handful of AA starts. This is a worse trade, in my opinion, than the straight-up Senzel for Kluber trade, which I believe in itself to be borderline inane. I do agree that Senzel by himself has more value than Kluber. Margot vs Winker is very debatable. Paddack vs Santillan would represent an upgrade for the Reds, per rankings, his minor league performance and peripherals are off the charts, his command is really good and Fangraphs projects him the big leagues sometime this year at a 3.52 era. But that misses the overall point I was making. It doesn’t have to be straight up Kluber for Senzel. If, as I do, the Padres value Senzel more than Kluber the Reds should expect to get some additional returns to offset the difference. It might be Senzel and Winker for Kluber, Margot and Paddack? That’s a trade that I’d be well pleased with. Would the Reds rather have (A) Kluber for 3 years; or (B) $50 million dollars AND Nick Senzel for 7 years? I don’t think it is very difficult to see that (B) is the better course. For one, the potential of Senzel’s bat in the lineup for 7 years is why the Reds think they can compete and why they want better pitching. Trade that piece, and the window to compete gets far smaller. Second, the $50 million can be deployed on an asset other than Kluber, one we would hope is younger and prettier than Kluber. Winker is very, very good. Margot is maybe a hair better than Billy Hamilton, and the Reds have good CF after good CF coming through the system for the next 3-4 years. Paddack is highly touted, but has had TJ surgery already, and we know from experience that pitching prospects are much more speculative than hitting prospects. The Indians apparently would rather have good prospects than Kluber, even at the expense of competing for a World Series this year, which ought to tell you something about what they really think of Kluber and his aging curve. I agree that Senzel has more overall value than Kluber. However, the comparison isn’t as simple as you make it out to be, the salary difference is one part, performance and it’s associated value is the other Kluber performance has been worth more than 150 million over the last 3 years. 3 war for 6 season’s is the equivalent value to what Kluber has produced. We really can’t be absolutely sure of Senzel’s performance going forward and we really can’t be absolutely sure of Kluber’s decline over the next 3 years. Kluber has not only been an ace, but Kluber has been a top 5 starter in all of baseball for a while. 3.14, 2.25 & 2.89 era’s the last 3 years. As I said before, We agree that we should get more than just Kluber out of Senzel if we were to trade him. Fangraphs had Kluber at $50M in surplus value, so Senzel straight up for Kluber is essentially a fair price (with Senzel valued at $50M by Fangraphs). I don’t think I do it if I’m the Reds, but a 1-for-1 is a market rate deal. I just glanced through your article and haven’t read the other folks comments due to current lack of time. But, i think you’ve reached into my mind and articulated what has been ruminating around in that pea brain of mine regarding this potential trade. Hopefully in a few weeks this potential trade will be forgotten and we will be looking forward to pitchers and catchers reporting and Nick Senzel running around in the outfield at Goodyear Ballpark for the Reds and not at Goodyear Ballpark for the Indians or any where else. Marty brennamen retiring after 2019 season. Forget Kluber. I’d wait until next year and go for Chris Sale. That way you don’t have to give up any prospects and you’re getting a better pitcher. I think this is the best approach as well. Another year to develop youth and not overpay now when we are not ready to compete. We may be in a better position next off season to offer Chris Sale a monster 5 year deal. Still would need few mid rotation starters as well. Perhaps look to extend Alex Wood. I think Sale is a $30-million AAV pitcher. Do you really think the Reds would have to pay him $45-million a year to get him to pitch at GABP? The park is hitter friendly and pitcher crappy but it isn’t quite as bad as you may think. There may be a premium associated with getting a top-tier FA pitcher to want to pitch in Cincy but it isn’t anywhere near an extra 50%. It’s probably closer to 10-15%. It might be worth that premium. One thing that no one seems to be discussing, but probably will be a MAJOR topic be as the season moves on . . .
DEFENSE is a problem. While a Kuechel signing induces ground balls, you still have to have someone to catch them. Scooter, Peraza and Schebler/Puig up the middle and Winker/Kemp on the corners gives me quite a bit of heartburn. I am going to have to buy stock in Nexium as the year moves forward. This could be the worst fielding Reds team in ages. Gold Glovers at every position? No. But Senzel, Trammell, Siri, and Barhart are + defenders and Suarez is no hack. Peraza may also grow into the position as he matures. Suarez was a true hack last year. Barnhart took a huge step backward last year. Pitch framing rates are among the worst. No way I trade Senzel for Kluber.No worries because neither team would do that.Indians can win their division next couple of years just by showing up every game.Reds play in the best division in baseball with at least 3 teams to climb over and all 3 have got better.Still playing catch up in our own division because of the last 2 years. First off, I will say, this is a good problem to have. A problem, but a good problem. It’s a problem where there is no “single” solution. You can make an argument for either way. Me, myself, I wouldn’t pull that trigger. Honestly, if I go for Kluber, I would rather try to get them to take Suarez. Don’t get me wrong. I love Suarez and would hate to see him go. But, I’ve always said, I have no problem trading someone, as long as we have a plan B. And, we have a plan B. And, we free up some salary for FA’s. Suarez has one of the most team-friendly contracts in all of baseball. For a small-market club like the Reds, he represents an absolute coup, but by all accounts the player is also happy. You don’t trade that away. If you want to win, you may. The true value that a return for Euenigo Suarez would be truly prohibitive. Remember we would be trading away a Cost controlled All star third baseman, who will be vastly underpaid for his value over his career. In addition, we would lose the ability to sign players to Long term contracts without long term contracts as the players will notice that a long term player who signed a discounted rate is immediately traded away from his team and lost all his money producing years. That being said, a return for Suarez this year should be the following. TOP 3 prospects from said team. ALL OF THEM. and a couple lotto tickets. If you want to win now, prospects aren’t going to help. I will say this. I do believe Senzel should be a regular in the major leagues right now (caveat his injury from last season). The more he doesn’t play for the big club, the more we aren’t taking advantage of his worth. For instance, he has worth now. What if he doesn’t work out? For instance, at most, he becomes the perverbial “serviceable”? What then? We end up losing tons of value by waiting. So, I will modify my statement. If we don’t trade Senzel, he needs to be playing everyday this year, in my estimation. If Senzel isn’t going to be a regular for us this season, then I can understand trading Senzel off and going after someone like Kluber. I mean, seriously, you don’t keep talent in the minor leagues because they are “prospects”. Prospects have 2 uses, to move them up to the big leagues, or for trade bait. That’s why I said, if we don’t make Senzel a regular this season, then I say move him on. I just posted this on a similar article in redsminorleagues but I thought I’d put it here too. Here’s an idea. What if we go the complete other direction than pitching. What if we do 8 years 240, 30 mill a year because I think that would get him. through his age 34 season too so not too old. He becomes our SS and we flip peraza, Barnhart, and India for realmunto. Don’t know if that gets us there or not but probably gets us close. Maybe schebler too? The salaries for peraza, Barnhart and realmunto are a wash and machado adds 30 mill to the payroll. That puts us around 140ish. In between the 130-150 number thrown around. When we have kemp, Scooter, and rourkes money come off the books next year, (I’m hopeful to work something out with puig and wood) we can then throw that money at a Sale, verlander, Cole, Bumgarner, wheeler (yes I think he turned a corner). And we could move senzel to second next year when hopefully trammel is ready for center. That would give us both schebler and kemp as power bats off the bench with casali as well. Kemp/schebler would get about 300 ABs each too. I have before posited that the Reds may be the Machado mystery team. I still think it is possible, but is probably not so. My take on it was/is that you could give him an opt-out after 2 years, that he would hit 48 HRs/year here, and that he would indeed opt out. But the extra runs in offense would lessen the need for the Reds to get pitching, with the idea in baseball being to score at least one more run than the other team. Winning 6-5 is the same as winning 5-4. I doubt it happens, though. Now that’s some great out of the box thinking. I don’t think it happens, but it is well thought out and even sounds doable. I’m like it. Great post. The Reds get an “Incomplete” grade so far for this winter. More work needs to be completed. A Top of rotation arm remains a priority. But maybe it is time to take a pause on that effort. Move #1: CF should be the next highest priority at this time. Use some of this surplus pitching and a high rated prospects to obtain a true CF. I would be burning up the phones lines to Oakland trying to pry away CF/OF Ramon Laureano with what they need most, starting pitching. Oakland has several OF and can spare Laureano. They need to get more pitching if they want to repeat 90+ wins again. Move #2: Work on a new 3 year contract (2019-2021) to extend SP Alex Wood and a 5-6 year deal for Luis Castillo to take up his arb years and a couple of free agent years. Make Castillo one of the core cornerstone players along with Suarez, Senzel and Winker. A foundation base is needed to build the rotation on post-2019. Move #3: Re-engage the Miami Marlins about trading for C JT Realmuto. #GoGetTheBestCatcher. Barnhart plus a couple of top prospects. Get-r-done. Move #4: Next priority would be to contact teams that lost out on grabbing a 2B here recently. Scooter is the best 2B on the market, a better 2B than Marwin Gonzalez and/or Josh Harrison. He just doesn’t have their versatility. It is time to start pushing him out there on the trade market more aggressively. Hello LAD, LAA, COL and BOS. A few teams are in need of a LH bat, too. Move #5: Move Kemp. Contact all AL teams looking for a DH. Pay down Kemp’s salary to where the obtaining team only has to pay Kemp $6MM to $8MM. They got $7MM from LA, throw another $5MM to $7MM on that pile. That could get a mid level prospect back and it frees up a roster spot. Move #6: If Suarez is having difficulty in fielding in 2019, by the all-star break flip flop him and Senzel. Senzel to 3B and Suarez to 2B. With Luareano in CF, Senzel at 3B and Suarez at 2B, and Realmuto at C the Reds would become a very good defensive team. And with a little faith that Peraza’s defense will be better at SS this season. Plus, the offense doesn’t miss a beat without Scooter and Barnhart. It is actually better. 1. Laureano, 2. Senzel, 3. Votto, 4. Realmuto, 5. Suarez, 6. Winker, 7. Puig, 8. Peraza. 9. P.
Only four trades to make. Two moves to bring a player in that will cost a couple of experienced players and a few top 20 prospects. Two moves to move a player out and bring back a prospect or 2. Two internal moves, one for the front office to do 2 extensions, and one contingency plan for the manager for defense and player position. The Reds still have some heavy lifting to do before 2019 opens. But, No free agent dollars spent on high risk contracts. A new CF brought in. A new C brought in. INF and OF defense solidified. Trade 2 players who have 1 year left on contracts to open up room on the roster for Senzel and Winker. Solidify the starting rotation establishing a core for the rotation past this coming season with 2 extensions. That is many boxes checked and still able to hold onto the top 4 prospects in the organization. The Reds have made 3 improvements so far, two solid Starters and Puig for Hamilton. I like the idea of signing Castillo and Wood. If the Reds can get two controlled starters, then they could utilize the free agent market from year to year to fill in the other spots in the rotation. Utilize the 5th spot for a young starter within the organization. Suarez to second and Senzel at third might be a good idea as well. Suarez is not necessarily great at third. The Gennett thing is strange to me, he needs to be moved to clear up the strengths of the roster. It seems the Front Office feels the same since there has been no contract, just arbitration. There are a whole lot of moving parts there and some or even most may not work out. That said it’s an actual plan. I’m hoping the Reds have some sort of similar plan. I love the idea of #1 and the idea of #2. #3 I’m not sure about. I don’t think the Fish take Tucker because even his modest salary is too rich for them. I also don’t like that he only has 2 years of control left so if the prospect cost is significant at all, I balk. I agree on #4 but the market for Scooter doesn’t seem to be there. There are other 2B out on the trade market that haven’t been traded either. #5 may not be too feasible either. I’m sure the Dodgers tried to move Kemp for anything and ended up having to take on an ugly contract to get it done. Also not sure about #6 as I think 2B is a little harder to play than 3B, especially if you have the arm for 3B, which Suarez does. There’s only one starting pitcher that I would consider trading Senzel for and he’s not on the market. Blake Snell. I have a list of 5 players that would fill holes for the Reds without breaking the bank or costing them their top 3 prospects. Three are in the majors and the other two are very very close. All are young and controllable. These 5 players might be better choices. Kluber, Keuchel and Pollock? I would take them in the right situation, but I don’t see it working out with those three. These are the type of moves the Reds could be working on. Nobody saw the deal with Washington before it happened. The Reds like doing this. Very hush hush. I have read all the comments up to this point and only one,thats one,has mentioned that Senzel has had injuries(accidents)and vertigo sitting him down for 2 seasons.No one has mentioned that though he is a highly touted prospect,he is still an unproven commodity.The possibility that he doesnt pan out still exists. Kluber,on the other hand,was a runner up for cy young last season and has won the award 2 times in the the recent past.All Im reading here is declining Kluber and 15 years of Senzel and a bunch of NO,NO,NO on doing this trade.Alot of misstatements for sure. Heres my 2 cents.Firstly the Indians dont want or need a 3rd baseman,the Pads are where Senzel would go.They are in need and have valued him as a future cant miss all star.A bit aggressive at this point.It seems that after Senzel very little or nothing at all would get us Kluber.The Pads would be the ones giving the Indians the young outfielders that they want in return. Also Kluber as a TOR pitcher is underpaid in this current market.17 mil is middle of the rotation $.Greinke is making over 30 and I would take Kluber over him anyday. I dont love the idea of trading Senzel but to get Kluber for him is a no brainer.What if Nick has another episode of vertigo this spring?Ouch.That possibility exists.Or what if he just isnt lights out like everyone thinks?His trade value would diminish to Scooter levels. No years of Senzel or 3 years of Kluber?Hows that trade look under those conditions? I would do the trade without any thinking,unless Keuchel could be signed for 20 mil or less and we could keep Nick. Another thought I have is sign Keuchel,trade Senzel for Kluber,and put a package together to get Realmuto,even for only the 2 years he has remaining.Now that would be a legit WS contender,even in the nl central. One last point to make is that if the Reds improve by say 10/12 games they pretty much would have to get those wins against division foes who they play against 76 times,thus making 90 something game winners into 80 something game winners. Atleast its been an interesting winter for us Reds fans. If we got Kluber, Keuchel and Realmuto, then yes, I would probably change my mind. And yes, we could legitimately win the NL Central. That would take the headlines away from Machado, Harper and those damn Yankees for a few days! I have been preaching these things for a few days now. If the Reds really want to win now and have a good chance all 3 of those things have to happen. Quit sitting on your hands and take a chance. I’m not sure that not giving up the entire farm for a possible one year window counts as sitting on your hands. I’m more in line with your perspective than the “hard no” responders in here. Kluber at 3 years on a bargain of a contract is good enough for me. I too, am scared of the vertigo, and “other injury history” that Nick has had so far. I was wondering if anyone would bring this up. His vertigo is a very real issue, see what happened to former Reds 3B Nick Esasky. In fact, one SD beat reporter today suggested the three-team trade is being thwarted by Senzel’s medicals. Do I trade a top position prospect whose best positions are currently blocked at the MLB level, with a potentially serious medical issue, for a Cy Young pitcher in his early 30s on a bargain contract? Absolutely, and if I were the Indians I’d want way more than that. It is far easier to find position players than pitchers, look at what the Reds have gotten over the past 5 years of pitcher-searching: Luis Castillo, a couple maybes, and a heap of duds. It’s easy to salivate over having a young Scott Rolen-type player in the lineup, but the lineup is nothing without pitching, that should be painfully obvious by now. You have to give up something to get something. Kluber is a big something, even if for just 3 years at somewhat below Cy Young caliber play. Senzel’s projected WAR this year is 1.3-1.4 depending on the source. Kluber’s WAR last year was 5.9. Even if that drops to say, 4.5 average over the next 3 years, that’s 12.5 WAR for three years. Senzel could get close to that range (and maybe surpass it slightly) in the 6 years we have him under control, IF he stays healthy all 6 years. So to me, the question is, do you want to tryto win now, or keep hoping you find pitching via trades of lesser players, the draft, or overpaying in free agency? I would make this trade in a heartbeat, include Kemp to dump the salary, along with a prospect like Santillan. Then use Kemp’s salary savings to pay Keuchel and get ready for the playoffs now – before Votto really falls off the proverbial cliff. Nick Senzel and Nick Esasky do not have the same kind of vertigo. Senzel has the kind that LeBron James has. I’d venture to guess that 95% of the people reading this response didn’t even know that LeBron James has vertigo. Lebron james has vertigo? No way….regardless…..the kubler trade scenarios are getting worse and worse…. there are worse players then kemp as well…. i say let him stay a year…put some butts in seats….see if he actually does have it back and then bid him and his contract ado at the end of the season. No; take the 6-7 years of Senzel and the position player. Is Kluber going to put the Reds over the top for 2019? I don’t believe so, so I wouldn’t trade our top prospect for him. I wouldn’t give up Senzel or Trammell. 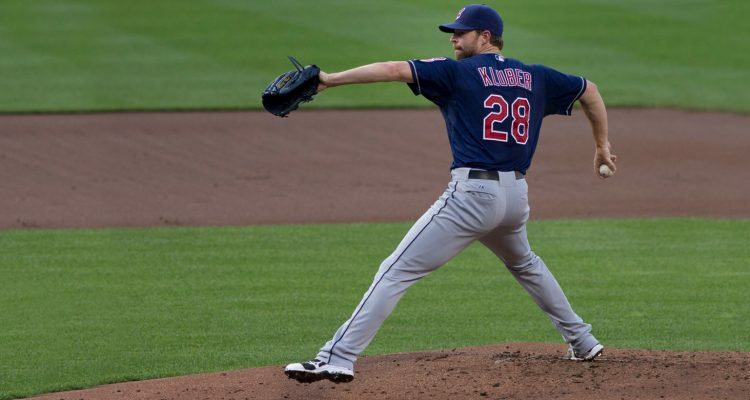 I would do Trammel for Kluber in about the 3 seconds it would take to hit speed dial on my cell! If I were GM, I would consider trading Suarez for Kluber and Cash. This frees up Thrird Base for Senzel, and Frees up Cash. I would then sign both Pollock and Keuchel (overpay Keuchel if need be). This club would then be real contenders, without losing pieces beyond this year. Interested to see what you think.